SkyLift is an independent expert in the field of existing lift installations, and has been a Scan Sys customer since 2015. Financial Manager Mark van Burgsteeden was involved in the implementation of ImageCapture, and talks about how our software is used, and his experience with Scan Sys. SkyLift was set up in 2004 and has grown to become one of the largest independent service providers in the area of lift maintenance, repairs, modernisation, and disaster recovery and prevention. A good lift is part of the image of a building, SkyLift makes sure it is safe and comfortable. Quality and customer satisfaction, combined with affordable service, are the ingredients that make up the successful approach of this organisation. Founder and director Hilke Hoekstra discovered there was a high demand for an organisation that was not tied to a particular brand and that could deliver flexible maintenance and service to existing lift installations: it looked like a gap in the market! Today, SkyLift provides maintenance for around 8,000 lifts and this number is growing steadily. The implementation policy of SkyLift is best described as sustainable. You see this reflected not only in professional maintenance and the use of high-quality products, but also the re-use of materials and the modernisation of existing installations also support this policy. SkyLift now has grown to 175 employees, and is a noticeably young, dynamic organisation with a flat hierarchy and plenty of space for personal development. You can see this development among other things, in the innovative projects that SkyLift regularly launches. From LED panels for lift lighting. 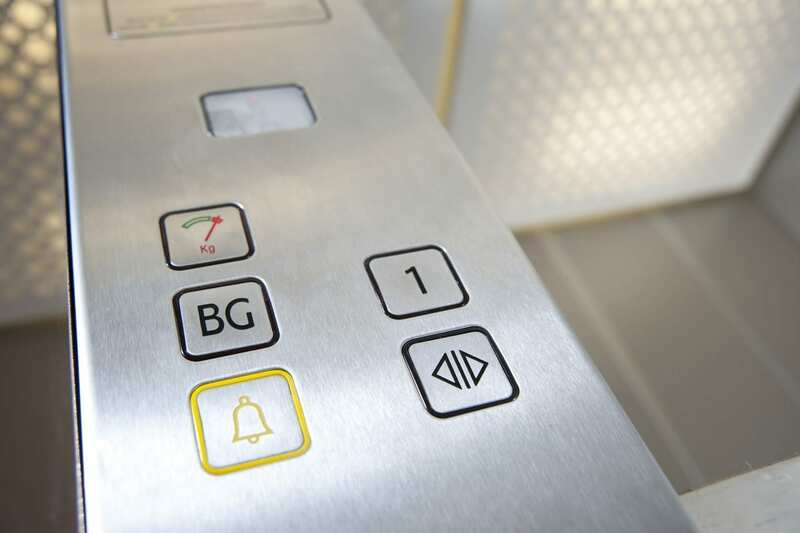 to being able to monitor lift installations online, and renovating to save energy. SkyLift has also set up its software environment in such a way that all data is quickly and clearly accessible for its employees. That way, they are able to provide advice or react quickly to questions. SkyLift is a young company with an open culture and flat hierarchy. Our organisation is growing very quickly, we now have a team of 175 enthusiastic employees. What makes us stand out and also empowers us, is that we work with all types, kinds and sizes of lift installations. We know every single brand. SkyLift has a number of different specialisations, for example there is a Service department that handles maintenance and resolving breakdowns. The Repair department works on a small project basis. And ad hoc inquiries from new customers can also be picked up and dealt with at lightning speed by this department. Then there is a Modernisation department that carries out renovation of old lift installations. A good example is the lift in the Vincent van Gogh museum in Amsterdam. After SkyLift had renovated it, this lift that dated back to 1972 was awarded energy label A, the leading quality mark for energy-efficient installations. Our primary goal is that our clients’ lift installations work well, that is what we focus on. We are a highly service-oriented organisation. We also devote efforts to sustainability, and look for new opportunities to make existing lifts work as efficiently as possible. When I started at SkyLift in 2013, we were still working with a financial system that was better suited to smaller companies. At some point, we were growing so fast that we found ourselves building on choices we had made when the company was a whole lot smaller. Because of the scope and continuing growth of the business this no longer seemed the most logical way to work. For example, the processing of purchase invoices at SkyLift: In the old situation each invoice went through a person’s hands four times: firstly, when it arrived it was sent to the top management, who wanted to stay in touch with what the organisation was ordering. Then the invoice was registered and had to go to at least two employees for approval. In many cases this was the person who had placed the order and that person’s manager. For combined invoices this could be as many as 8 employees who all had to sign off the document. After approval, the invoice still had to be manually released so that it was ready for payment. After that, it was filed in the archives, which were also steadily growing and growing. Overall, a process with little transparency which wasted time and led to many errors. On the advice of, and with assistance from LOKO IT, Exact dealer and Scan Sys partner, SkyLift selected Exact Globe as its new financial application, combined with ImageCapture and Exact Synergy for the automatic processing and approval of its purchase invoices. The choice of ImageCapture was driven mainly by its full integration with the Exact software, which meant that the approval in Synergy was a component of the automated process. Another reason is that ImageCapture can also be used more widely, for processing other documents, such as HR documents. In addition, the selection process was also influenced by the fact that ImageCapture was able to automatically match POs (purchase orders) with their purchase invoices. Very quickly the desire grew to have a scanning solution. Initially, we were still looking for an application that would connect to our old financial system, but having looked at all the options, we wound up at LOKO IT. They showed us the potential of the Scan Sys software, and we became very enthusiastic. So the choice of a scanning solution was made quickly. This in fact decided the whole chain of events, because thanks to the possibilities of the scan software combined with Exact, we decided to move over to Exact. This way, we had the option of approaching our processes in a new way, focussing more on the company’s growth, and matching the requirements that we had. Really the goal was to “Grow without having to hire more people”. At SkyLift, the main process (ed. providing services) always comes first. The secondary process therefore needs to run as smoothly as possible so that it works in a purely supporting role. Every year 20,000 invoices are processed in SkyLift’s offices. A number which, like the organisation, is still growing steadily. The majority of the purchase invoices relate to projects, and include costs of materials to be used for lifts and lift maintenance. The business also receives invoices for overhead costs such as gas, water and electricity, and there are invoices that arrive that relate to the maintenance of company cars. We work mainly on a project basis, and our invoices are often related to a project. We make use of different types of reference numbers. For example, parts that are needed for the maintenance of a lift are posted to the lift number, and invoices related to projects are posted with a fixed price and budget to the project number. When placing an order we pass on the reference number plus the initials of the employee who placed the order, and who is therefore responsible for approving it. This reference number is included on the invoice by the supplier. The combination of lift or project number and the employee code is recognized by ImageCapture, and the invoice is then linked to the right invoice and the right approval register in Synergy. The registers in Synergy are based on the double approval principle, meaning the employee who placed the order and their manager. We asked Mark about his experience so far with the ImageCapture software. Has it already delivered in the area of efficiency, and time or cost saving? What we all really notice very clearly is the insight that we now have. People no longer need to come by to look at an invoice or to request a copy, now that it is all digital. If we receive questions from suppliers, customers or colleagues we can help them quickly. The processing and booking also works much nicer. Most of our invoices already arrive digitally, the system collects them automatically from our mailbox. We have a better overview of where our invoices are in the approval process. We know exactly who has them at any time. I expect that we will also benefit from the digital archive when it comes to an audit. The software is really user friendly, easy to understand and offers flexibility in the processing methods. Many processes run automatically in the background, so you don’t really need to think about them. In almost every case, the first time we see the invoice is in the booking screen. The creditor is already linked to the invoice, the project number has already been uploaded and the right approvers selected. If there is no reference number shown on an invoice to indicate which approvers need to be selected, then ImageCapture opts for the right register by looking at the creditor details in Exact, where we enter the register in a free field. The big advantage here is that we don’t have to keep reinventing the wheel by finding out who the invoice needs to be approved by. The same thing applies for postings to general ledger accounts. The preferred accounts are recorded in Exact and ImageCapture uses this data when it makes the booking automatically. Another major benefit is that ImageCapture checks the bank account number, something that can easily be overlooked if you are processing invoices manually. The implementation that your consultant Iloy (ed. Iloy van den Berg) carried out for us is was completed very quickly. We had quite a number of items on our wish list, including reading the references on the purchase invoices, automatically reading from the mailbox, and creating templates. Your consultant really knew what he was doing, understood immediately what we meant, and knew how to then translate that into the software set-up. That worked really well. He made a very friendly and professional impression on us. The support people who I have had on the phone are very skilled and helpful, and take the time that you need. This may make the waiting time a little longer sometimes, but you are helped every time in a friendly way, and you get a good solution!